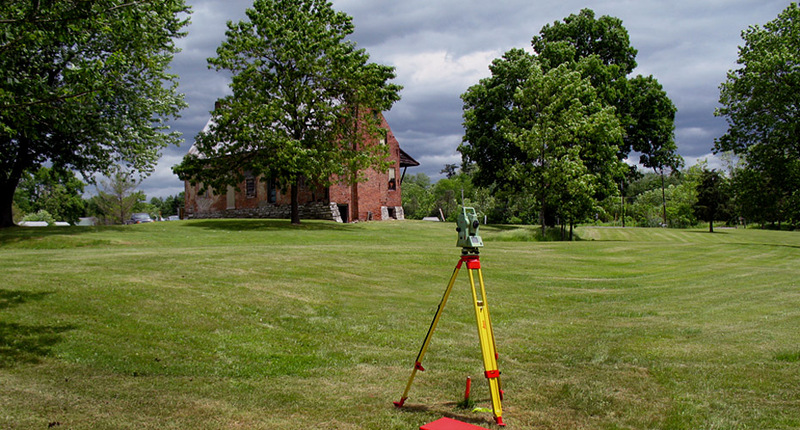 On Thursday June 2, 2011 New York State museum researchers arrived at the Van Hoesen House grounds in Claverack, New York and began the mapping phase of the archaeological excavation project. 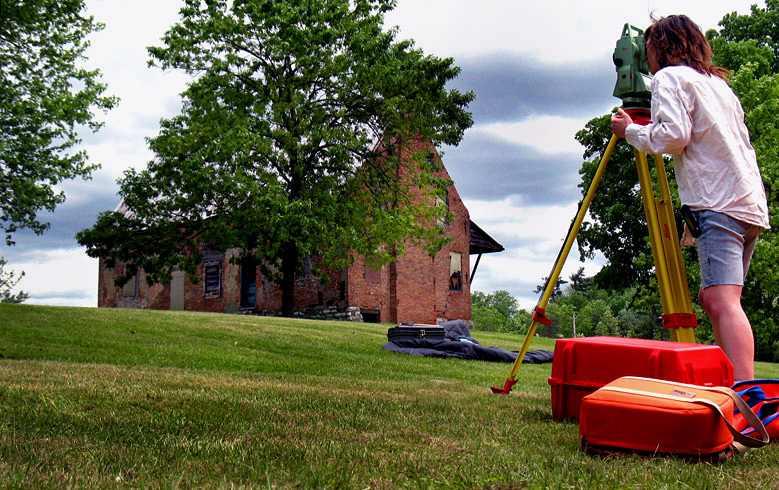 They used surveying equipment to begin determining the positions and elevations of points around the house. 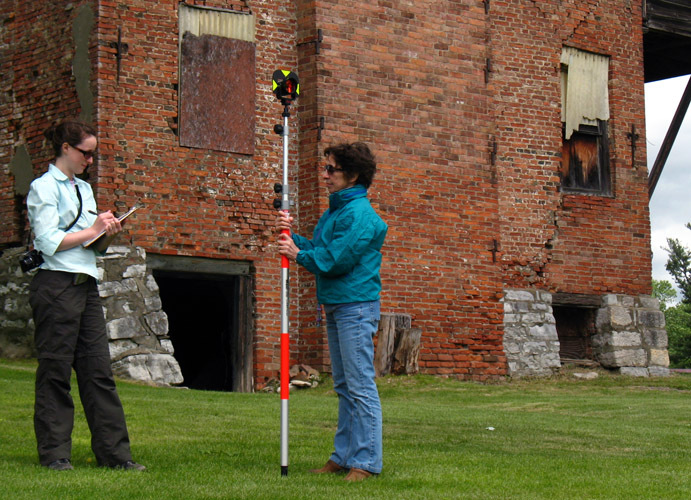 The museum staff will use this data to develop topographic maps of the site for use in the archaeological excavation work that will follow. 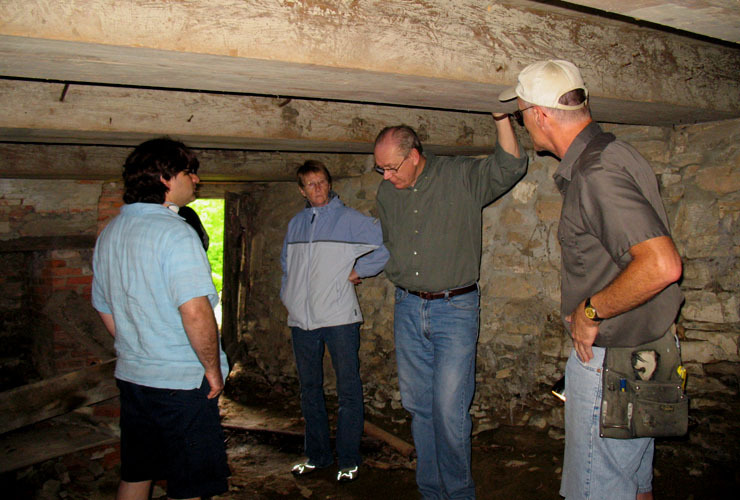 In the cellar where some of the excavation work is to be conducted.